Many of us seek out health advice on our own. So, who do you turn to when you seek out information on face lift procedures? Find out just how much social media influences your health decisions. When you’re in need of a good plastic surgeon, where do you begin to look? Ten years ago, most people would have rattled off a long list of tangible sources friends, family, physicians and nurses. Today, that’s simply not the case. More and more people are seeking out health information, specifically on facial plastic surgery procedures, and making medical decisions based on a somewhat intangible source social media. According to a new survey released by the American Academy of Facial and Reconstructive Surgery (AAFPRS), 42% of plastic surgery patients sought out advice and information on plastic surgery through social media channels, rather than obtaining the information from friends or family members. The survey also indicated that this was a 29% increase from 2010. 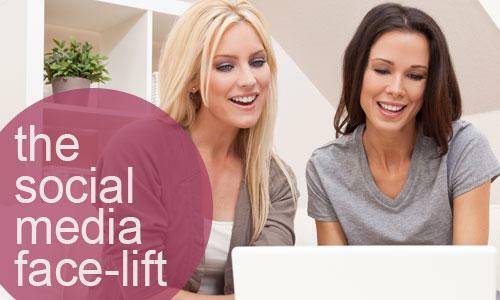 While many experts view social media to be an empowering trend for patients seeking information aboutÂ face lift surgery and facial rejuvenationÂ procedures, there is still some concern about the validity of information reaching these patients through social media outlets. We are encouraged by the possibilities that Facebook, Twitter and other social channels offer for prospective patients, but urge all patients to exercise caution in researching facial plastic procedures to ensure information is from a reliable source, said Tom D. Wang, M.D., President of the AAFPRS. It is unlikely that social media’s influence on the facial plastic surgery industry will dwindle anytime soon. Facial surgeries, including face lifts, continue to top the list of the most sought after cosmetic procedures, and were among the top 10 most commonly performed cosmetic procedures in the U.S. for 2012. Learn more about facial plastic surgery below.